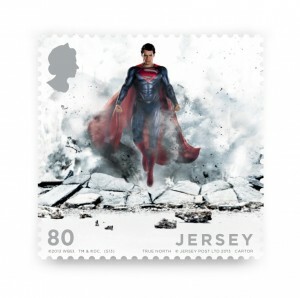 True North has designed a series of commemorative stamps for Jersey Post, ahead of the release of the new Superman film. It’s to celebrate the fact that Channel Islander, Henry Cavill, is donning the cape in the latest incarnation of the franchise. The stamps are on sale tomorrow and Manchester-based True North has also designed and overseen a microsite for the launch. The Man of Steel stamp features a close up of Cavill, which triggers an augmented reality app through Smartsy; The Transparent stamp shows Superman flying; a Foil Stamp has been created to reflect the Man of Steel’s strength; A Heat Sensitive stamp is printed on themochromic ink, which when warmed reveals the earth behind Superman; and a Glow in the Dark Stamp shows message from Superman’s father, which is only visible in the dark. The final stamp is a tactile, Granite one, which True North, explained had a double meaning, one to show Superman’s incredible strength, the other to illustrate Cavill’s favourite spot in Jersey - Beauport Bay.